ProNamel Multi-Action dinner tasting at Yew Seafood + Bar inside the Four Seasons Hotel Vancouver on April 1, 2014. Did you know April is National Oral Health Month? It’s time to reflect on our dental health and how to keep teeth strong, resilient, and healthy. Evidently, acid wear (acidic foods wearing your enamel) from your everyday diet is a factor in overall dental health. Sensodyne ProNamel threw a special dinner and interactive food tasting from Yew Executive Chef Ned Bell to showcase their efforts in helping Canadians be more conscious of their eating habits in relation to keeping more resistant to the effects of acidic foods. We had the chance to taste some delicious dishes developed by Bell with some interesting facts about overall food acidity. 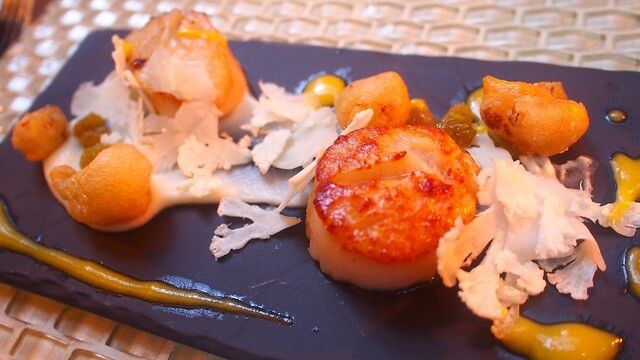 To start, the seared Qualicum scallops (with crispy and raw cauliflower) were finely cooked with a pure, moist taste. 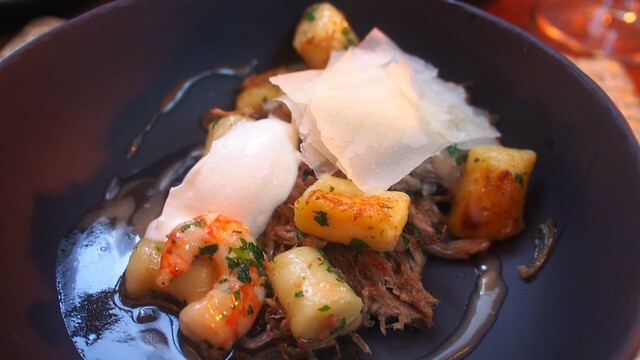 Next up, the duck confit gnocchi (with pear and maple compote and crème fraîche) was quite tasty in its delectable flavour with the contrasting tastes of the duck, crème, cheese, and shrimp. 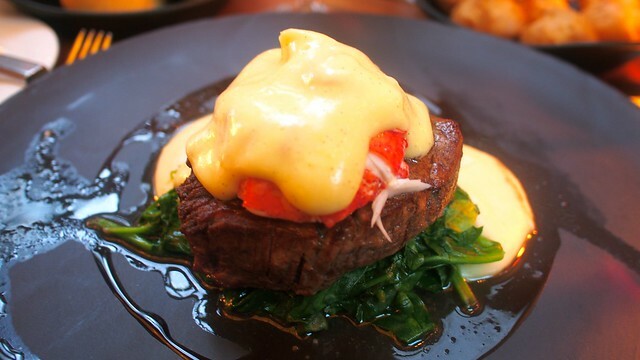 A very admirable entrée, the Pemberton Meadows organic beef tenderloin (with smoked golden potatoes, lobster and vanilla bean hollandaise sauce) was rich and deadly in its deliciousness. 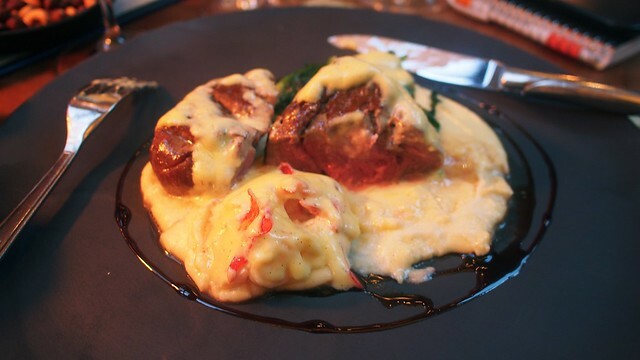 Well-cooked, the surf and turf was a nice complement and full of rich sauciness. 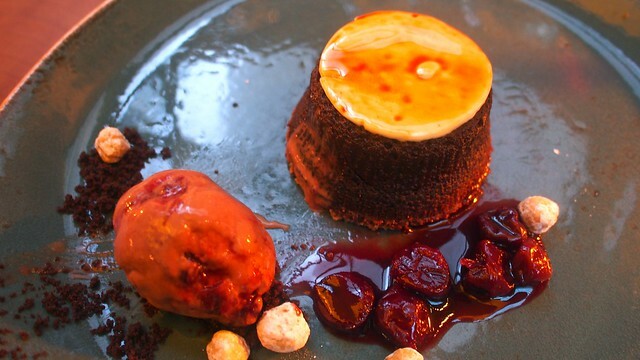 For dessert, the organic dark chocolate soufflé (with cherry and milk chocolate ice cream) was sweet and decadent in its deep chocolate flavour. It was another fine meal by Yew and Bell with everything prepare just so.